A big welcome back to the manual transmission (MT) in the Porsche 911 GT3. Since its release in 1999 the GT3 has always been the pinnacle of driving enthusiasts who were looking for a pure driving experience. A lightweight 911 stripped of excess weight, a flat-six motorsport-derived engine, three pedals and a proper manual transmission were the recipe for separating the boys from the men. All was well during the upcoming generations of Porsche 911. Within each generation the GT3 received a facelift which resulted in slightly subtle changes to the exterior (aero and wheels) and a power upgrade, but always with the trusted, manual transmission. 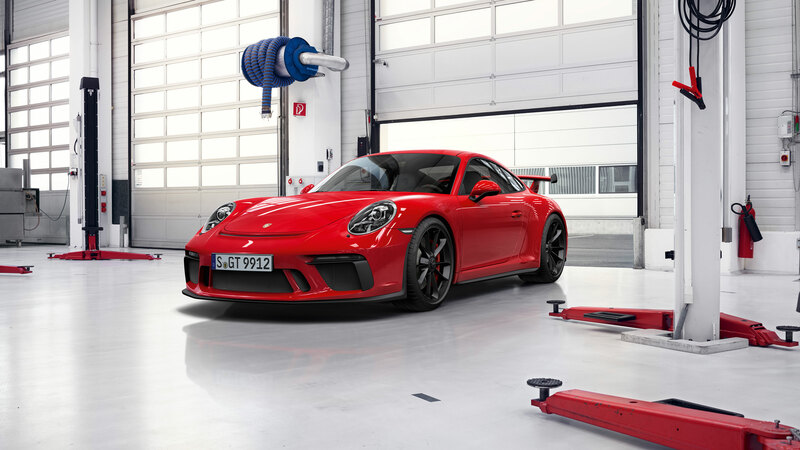 Until 2013 when Porsche introduced the all-new 991 GT3 and decided to drop the manual transmission for a 911 GT3 PDK only. Pitchforks were sharpened and the hunt for Andreas Preuninger was on! 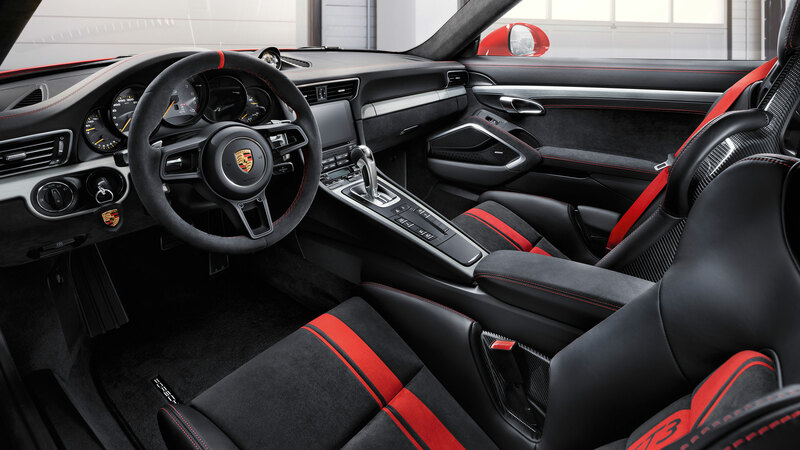 Porsche has listened to its customers and for the first time we have the choice between a 6-speed manual transmission or the 7-speed PDK flappy paddle gearbox. The MT is not dead and we can thank the 911R for that! Due to the huge success of the 911R, Porsche has realized there is still a vast group of customers who really appreciate three pedals and a stick, who focus on driving involvement and not only on 0 to 100 km/h (62 mph) times. 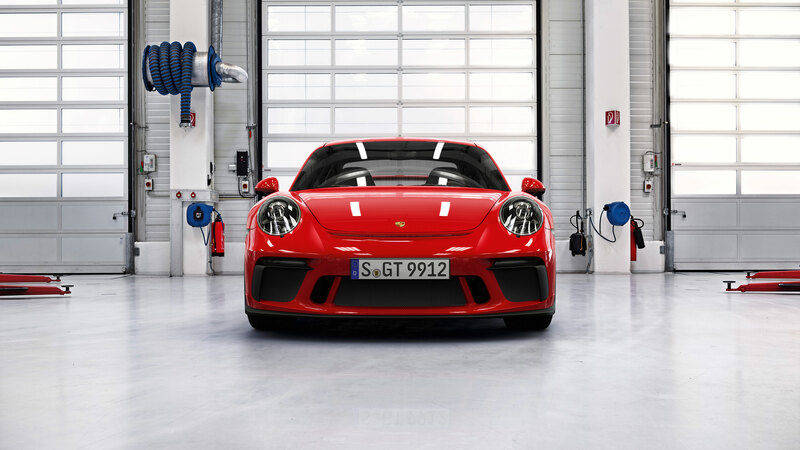 Kudos to Porsche for making the 911 GT3 with a MT again (a no cost option). As with previous facelifts the engine capacity grew a bit from 3.8L to a 4.0L newly developed (fireproof?!) unit derived from the GT3 CUP. Power has risen to 500HP and maximum torque is now up to 460 Nm. Redline stays at 9,000 rpm like the gen1 model. Design wise we see a more aggressive front and revised back with the 3-dimensional tail lights and reworked fixed rear wing. As of now there is no option to delete the rear wing to get a more discreet look. Overall we are very pleased with the end result of the 991 GT3 gen2. I will have mine in GT-silver with the clubsport package, radio delete, 90L fuel tank (extra cost?!) and of course the manual transmission!